One of my new year's resolutions is to start using Sample Room regularly so here's a step towards that goal! Feeling really happy over my first Sample Room haul. 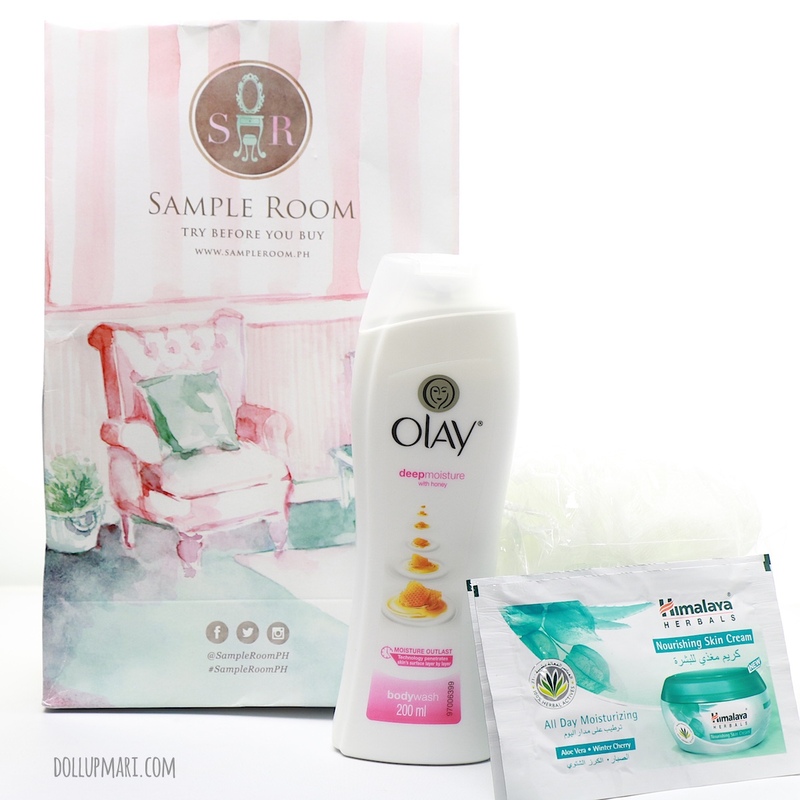 I've known of Sample Room since its inception waaaay back, but at the time, I was still not a beauty blogger (nor even a blogger) yet, and I also was not used to how the system worked. When it started, I remember that the brands were more obscure, and the samples extremely limited. I gave up even before my first purchase because the nice samples kept on running out and all that was left were sketchy brands I did not feel were worth paying the shipping fee for. Well, fast forward to 2015, good samples still run out very quickly on Sample Room, but I'm very glad that they have come a long way. Now, almost all the brands you see on Sample Room are known brands, like FMCG brands or drugstore makeup brands. While there are still obscure brands, I like how they're no longer as sketchy as the obscure brands of the past. At least, too, given how it's gotten so big that sponsors now generally provide more samples for users, so as long as you subscribe to the Sample Room email list and read the emails frequently (and act fast once you see a good email), the chance of getting a good sample is higher now. It also helped that they started their VIP system so that you can get new items even without reviewing the other items you got from them. The improvements in Sample Room have renewed my faith (yeah this is a very spiritual journey now I know hahaha) to try with service again, so here I am with my first haul! Yipee! 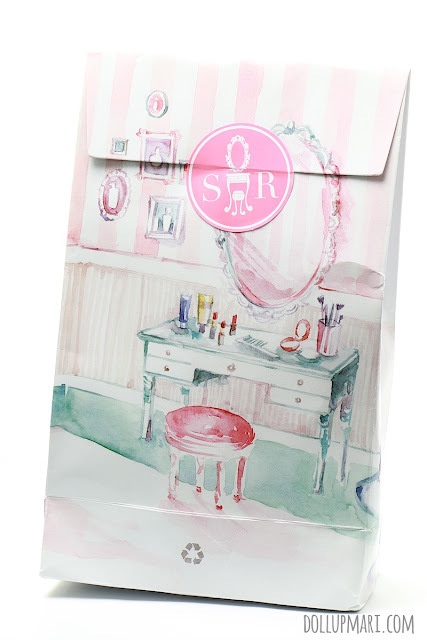 Of course, say hello to the eponymous Sample Room bag. I have a feeling that all the girls of the Philippine blogosphere already think of Sample Room when they see a white vanity table with a chair hahahahaha. I haven't really used the body wash on my body yet, but on trial with my hands, I really noticed a difference. They felt really soft after washing, and I like that they stayed fragrant for about an hour. 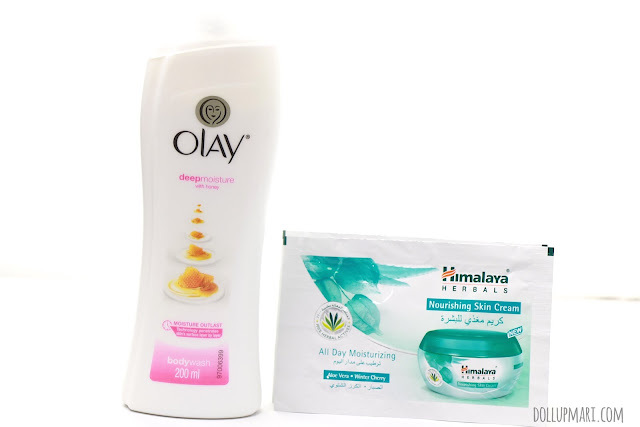 Body washes (or body soaps for that matter) normally do not keep me smelling good for more than 10 minutes, and it's usually the body lotion that makes me smell good. This body wash is very promising, and I'll be sure to talk more about it in future blog posts. So hooray! Tis the start of a new beautiful journey! 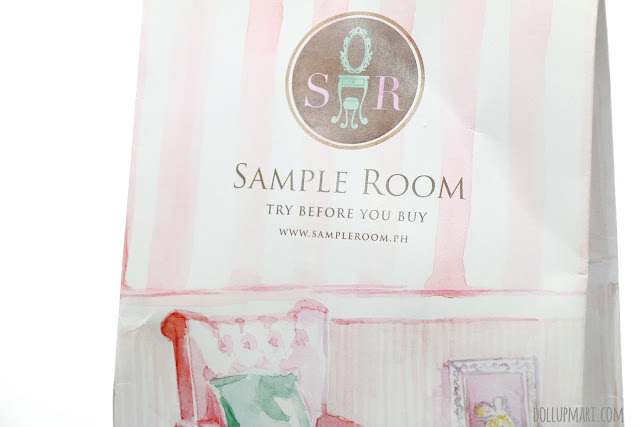 Have you tried Sample Room yet? What do you feel about it? Please do tell me in the comments box!